As Project Architect, Daniel Lewis designed and oversaw the completion of core and shell renovations at 89 Shrewsbury Street in Worcester while at Lamoureux Pagano Associates. Work included restoration of historic details and installation of complete new mechanical and electrical systems sensitively placed within an exposed frame building. The new windows accurately replicate the original window patterns. 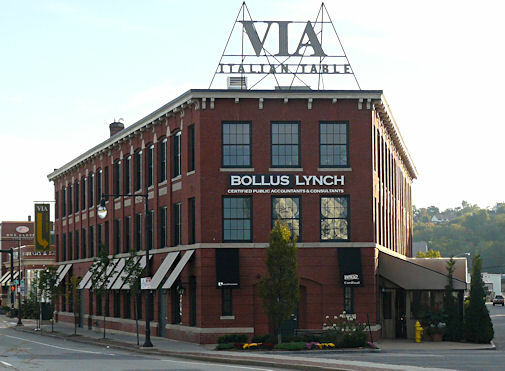 Daniel Lewis subsequently completed interior renovations and fit-out for Worcester Business Development Corporation, Cardinal Construction and Bollus Lynch on the second and third floors. 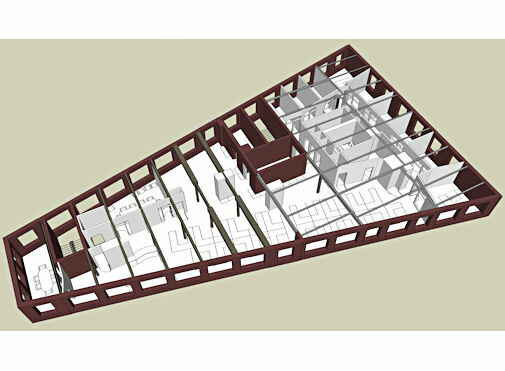 Exposed structure and brick walls highlight the historic character and detailing.